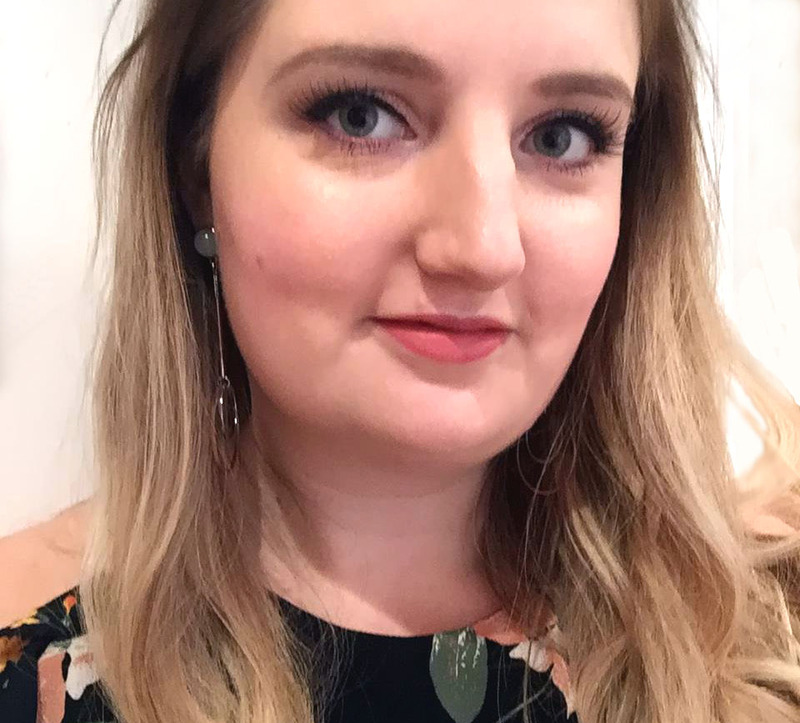 Hotel Chocolat has to be one of my favourite food-related brands – one, because of their amazing chocolate, but also because I think they have great ethics. 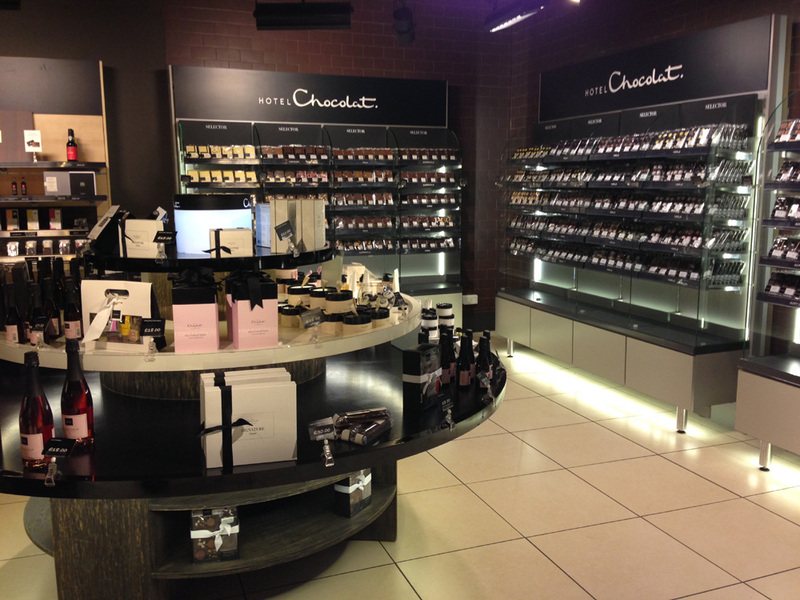 So when I got the opportunity to attend one of their “Chocolate Tasting Adventures” in the Manchester Arndale store, I was more enthusiastic than I don’t know what! The Chocolate Tasting Adventure, or “School of Chocolate“, is a two hour session in the evening led by one of the resident Choclatiers (ours was the very enthusiastic Isobel) where they share their insider’s chocolate knowledge and their tasting tips designed to open up a whole new world of chocolate enjoyment. 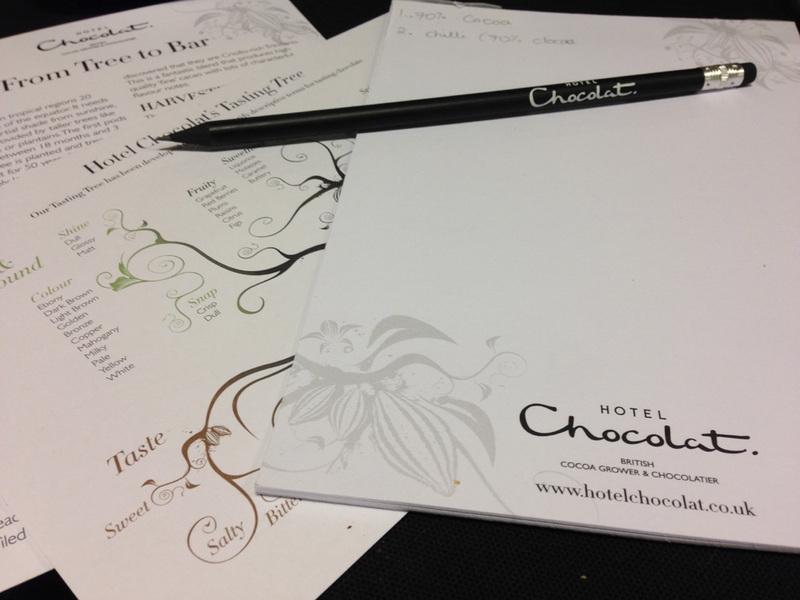 During our session we tasted 17 types of chocolate, learning to identify the main tasting notes and discovering elements that affect or change the flavour of chocolate – such as added fillings, the type of cacao bean, the stages of the chocolate making process and where the cocoa was grown. 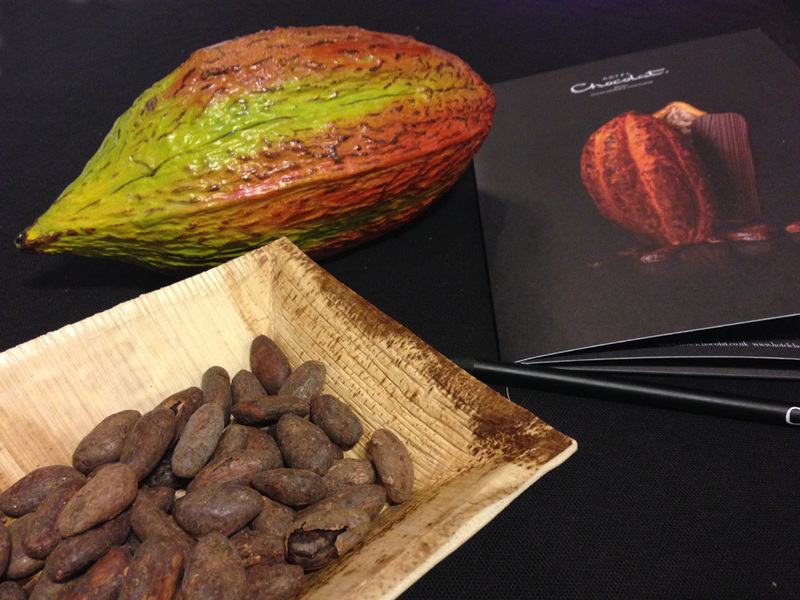 It was full of technical knowledge about the journey of chocolate “from tree to bar”, which is something I knew nothing about (despite being such a chocolate enthusiast), and the tasting aspect was the same sort of thing I’d expect from a wine tasting event, but with delicious chocolate! A lot of the chocolate we tasted was plain and without the addition of flavours or fillings, so we really did learn how to identify the nuances in flavour between each type that we tasted. 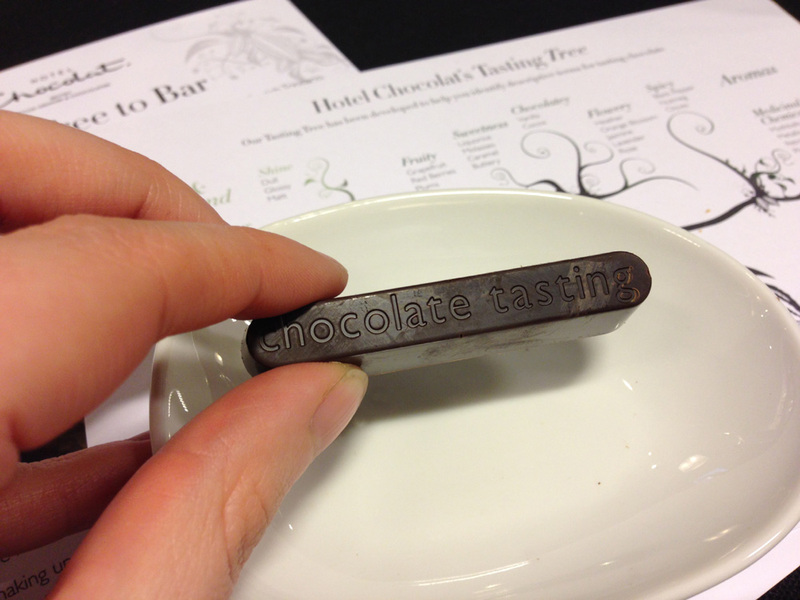 Who knew that two pieces of plain dark or milk chocolate could taste so different, just based on the cocoa used?! It definitely opened my eyes to a new world of chocolate. 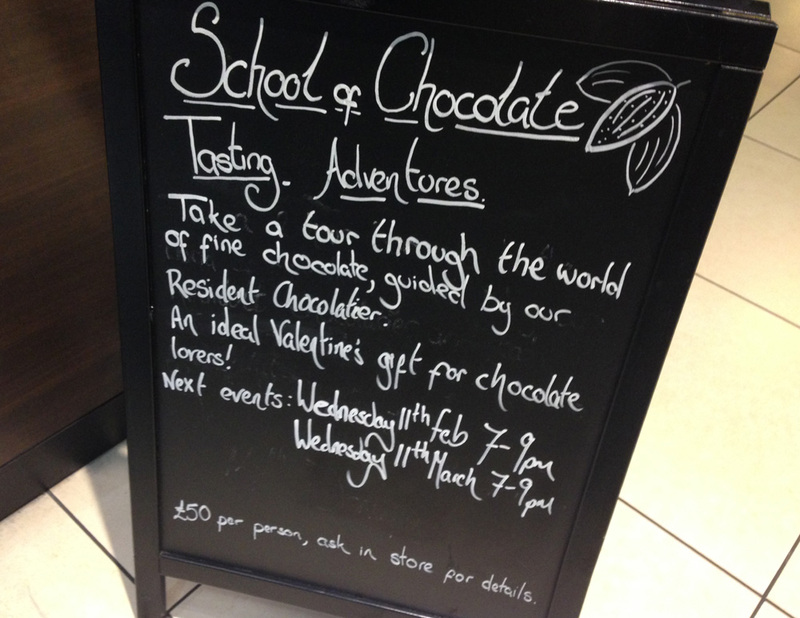 The Tasting Adventure sessions in Manchester Arndale are held every second Wednesday evening of each month, and I think they’d be a great gift for fellow chocoholics (as well as for yourself of course)!